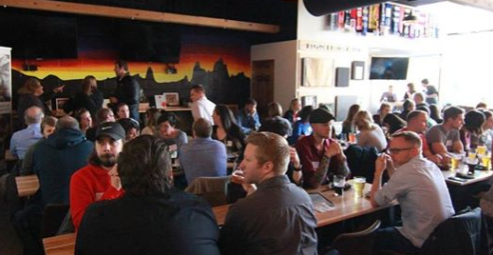 Join Columbus Gives Back on Tuesday April 9th for our March Philanthropic Happy Hour at Antiques on High on South High Street in the Brewery District! See Kids Dream, a great partner of ours, will be our nonprofit spotlight. See kids dream works with youth in greater Columbus to empower them with the skills, motivation and confidence to make the world a better place! Sharing the venue with us on the 9th will be the social group Puzzled Pint! Puzzled Pint is a casual, social puzzle solving event which happens at bars/pubs on the second Tuesday of every month in multiple cities around the world! Try your hand at some puzzles and say hi to CGB’s good friend Steve Woyach who is a lead for the Columbus Chapter of Puzzled Pint! Cost: Free to attend but please feel free to bring a donation for See Kids Dream!